Tidlig adgang betyder at du går ind i klosteret før folkemængderne ankommer. I thought we were going to watch the sunrise at Montserrat but the sun was well up almost before the bus began our one hour journey there. We did get to see the black Madonna without having to queue, but nothing else opens until 10am and we were asked to be ready to leave for home by 11.15. I went up on the funicular's first run at 10.20 but barely had time to look around at the top before catching the 11am one down again, and I was still late for the bus. Other people walked to the Cross viewpoint lower down but they too said they'd had no time to look at the museum or even collect their complimentary drink. On the way back, several passengers would have liked to pause for a few seconds to take pictures at one of the several spectacular viewpoints, but we were told there wasn't time. Montserrat is beautiful, and there is quite a lot to see, but it's not possible to do it justice on this quick tour. However, having said all that and while knowing that if I went again, I'd get a train, I have to admit that if it hadn't been for the convenience if this tour, I probably wouldn't have got there at all. This is a wonderful place to visit. The skip the line early start was well worth it! The one draw back is the time allowed. We raced from one site to another and felt that we really missed a lot. I would recommend the travel site add an additional 1-1-1/2 hours to the trip. It would be much appreciated. Given that, we thoroughly enjoyed Montserrat. The short hikes were amazing and worth the effort. 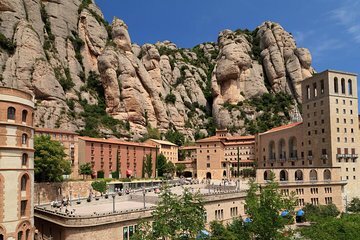 There is a reason, or indeed many reasons why Montserrat is included as one spot any Barcelona visitor should not miss. You have got to see it by yourself, and early morning is definitely the best time to do it. This place in morning sunrise is beautiful. We loved it! The Monastery is just breathtaking and the tram up is great and you can hike up to the top. Overall take the morning ride. Less crowded and we went on Monday so even less crowded. We did stop for coffee beofre goign and on the return. I would recommend it to others. 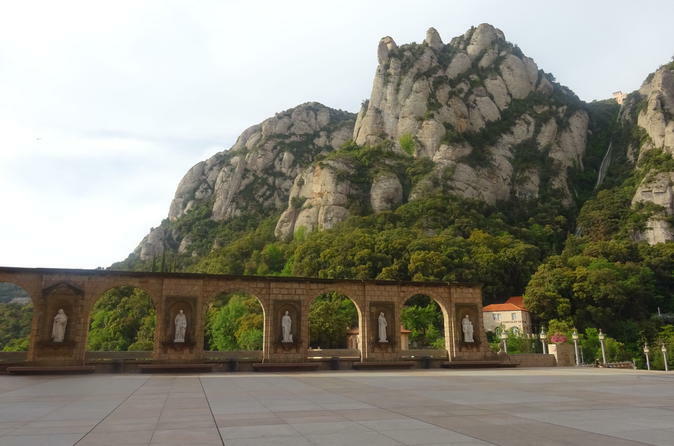 Much as we hate getting up so early when traveling, the decision to buy Viator’s Early Access to Montserrat Monastery from Barcelona was the best decision as well as the best deal ! We saw all the important sights up there without have to wait in line. Our guide Alina was very good and efficient. We began to see long lines formed at the basilica just when we finished. It was so beautiful to see the sunrise high up in the mountain ! Excellent tour - it was well and truly worth the early start. Highly recommend it if you're visiting Barcelona.